1. Attractive, modern fixtures and appliances – In a luxury apartment, you need more than just a faucet that runs—you should have high performance, high quality equipment in every room. For the kitchen, that means top-of-the-line appliances; in the bathroom, that means a luxury shower head and attractive vanity and sink. All fixtures in every room, including ceiling fans, should look new and work flawlessly. 2. Secure parking – At the very least, a luxury unit should come with a reserved parking space protected by a fence and gate. But given the snowy winters, many luxury apartments in NJ are opting for covered outdoor parking or have dedicated the resources to create a parking garage for residents and guests. This will make a huge difference on a January morning. 3. Hot tub and/or swimming pool – An indoor swimming pool is an amazing amenity that you can get used to easily. Even if you're not a huge swimmer in general, it's a great way to stay in shape without the pain and hassle of running or going to the gym—plus it's perfect for entertaining friends. At the same time, more and more luxury apartments in NJ are offering a hot tub which can be terrific for relaxing after a swim or a hard day at work. 4. 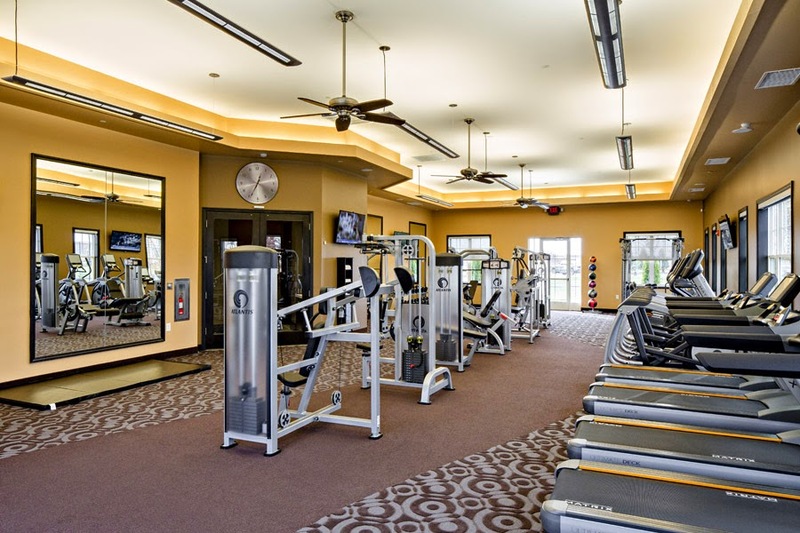 Gym and sports facilities – At a minimum, a luxury apartment complex should have a fitness center with basic exercise equipment including weights, bikes, treadmills, and other fitness essentials. If it's a large apartment complex, there should be a changing area and possibly even showers. But more than that, some luxury apartments in NJ have a tennis or basketball court—or both—which can make a huge difference in keeping you dedicated to an active lifestyle. 5. Security – For many people, this is the number one requirement, and it should never be overlooked. An on-call security officer or a 24/7 monitoring system is an essential part of a secure luxury apartment. 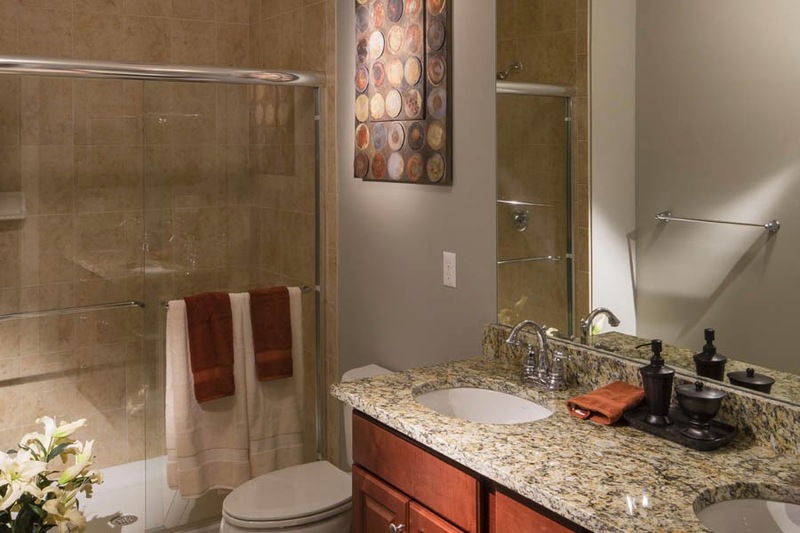 What do you look for in luxury apartments in NJ? Top notch security – Any apartment complex will have a locked front lobby. But luxury apartments should offer a more robust security system so you can be sure that no unwanted characters will find their way in. This system may include cameras, alarm systems, a gated driveway, and/or on-site security guards 24/7. Covered or indoor parking – The best luxury apartments in NJ will offer an indoor parking garage or at least covered outdoor parking spaces for residents. This is not only a matter of comfort, it can also be a huge time saver and helps keep your car from being damaged by the elements. It also goes hand in hand with security. Fitness center – Almost all luxury apartments now offer an on-site fitness center. Fitness centers should be more than just a couple sets of weights – they should have a good variety of equipment in excellent condition, all of which appears clean and comfortable. The benefit of a fitness center is that you don't have to spend more money on a gym membership, so make sure your apartment building offers everything you need for your workout. Swimming pool – Not all luxury apartments have a pool, but many do and it can be a wonderful asset. Most apartment residents find that they don't use the pool daily, but that it makes a great amenity when you're entertaining friends or when it's hot outside. A good website – You know those times when you're calling your building manager over and over, leaving messages, and not sure if they got them? That should never happen in a luxury apartment. Not only should the manager and staff reply to phone messages promptly, but if they have a good website, you shouldn't need to call them at all. Many luxury apartments in NJ offer online maintenance requests with instant confirmation. Of course, these are just a few of the amenities you can find in good luxury apartments in NJ, but they are some of the most important. What do you look for in a luxury unit? Buying Or Renting: Which Is Best For You?